It’s time for automated painting for the express generation. Say yes to Berger Express Painting! 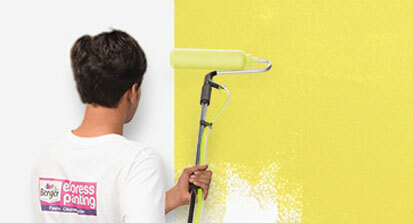 Express Painting brings to you quality and speedy solution for all your wall painting needs. We know time is precious, which is why we provide quality paint job in an unexpected timeline. It’s time to say goodbye to dust, dirt and paint spillage. The automated tools ensure a hassle-free painting experience. Thanks to the automated tools, it is also 40% faster than traditional painting.